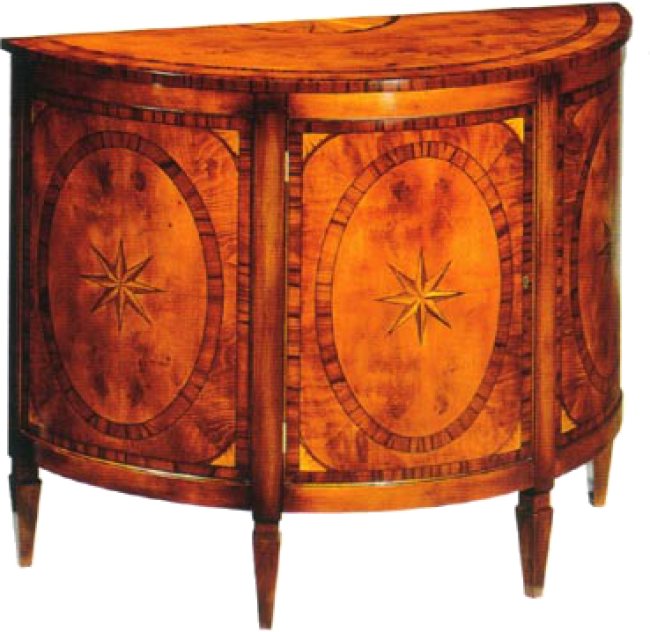 Demi-lune cabinet in Yewwood with star inlays. Satinwood, Rosewood and Ebony accents. Fixed shelf behind center door with solid antiqued brass lock. Also available at 48"W and 60"W.